– Requires CIGNA to implement enhanced claims handling practices that are intended to prevent the continued improper denial or termination of disability claims. The enhanced claims handling practices CIGNA will now be required to adhere to are significant. For example, it must give significant weight to disability determinations by the Social Security Administration in most instances. Also, it must gather and fairly evaluate all relevant credible medical information bearing on its insureds’ disability. Furthermore, it must now obtain independent medical examinations of insureds in response to requests by insureds, or their treating physicians, rather than simply denying claims based on the review of medical records alone. And finally, it must consider all diagnoses and impairments afflicting their insureds and their combined effect on their insureds’ ability to work. Established in 1991, Pillsbury & Levinson LLP is one of the few law firms in California focused exclusively on representing policyholders in insurance disputes and insurance bad faith litigation. 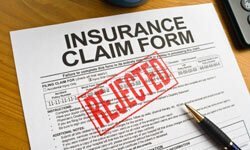 Source: “CIGNA Slammed for Its Improper Disability Insurance Claims Handling Practices” by AUTO-MOBI.info. Full article can be found here.